Nepal Airlines has taken delivery of the first of two A330s, which it will lease from the wide-body lease specialists, Hi-Fly. 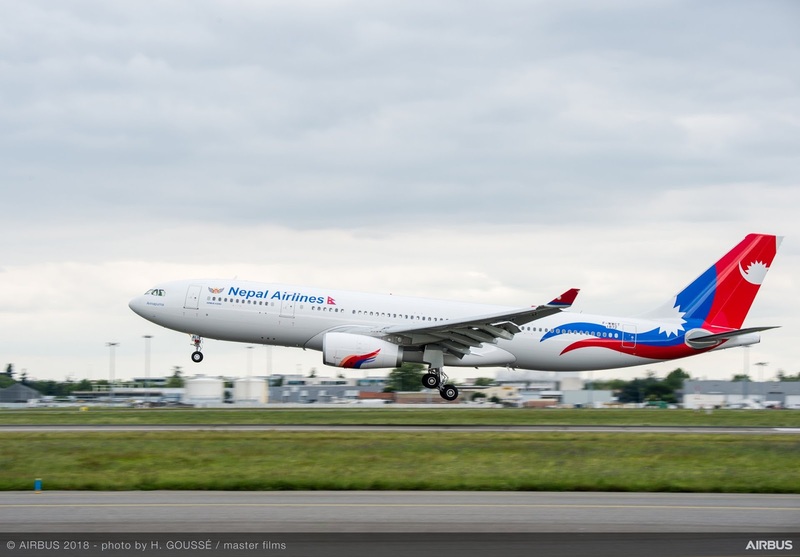 These will be in addition to its two existing A320ceos, and will be one of the largest aircraft operating out of Tribhuvan International Airport. Situated at high altitude, only the most sophisticated of aircraft are capable of operating from this location, which is Nepal’s gateway to destinations in the rest of Asia and beyond. The A330 is the most popular widebody aircraft ever, having won over 1,700 orders from 119 customers worldwide. Today, over 1,300 A330s are in service with 124 airlines, flying on everything from high density domestic and regional operations to long-range intercontinental routes.